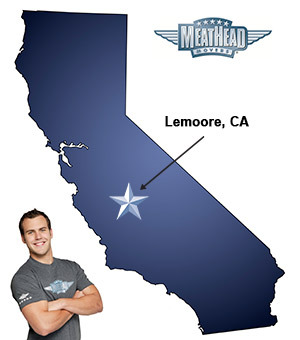 For a trouble-free move to Lemoore, Meathead Movers is the company for you! Our professionally trained student-athlete movers are ready to get you into your new home. If you are moving to or from anywhere in Lemoore, we are the moving company for you! Our professionally trained student-athlete movers and our moving concierge service are here to help you with every stage of your move. Located in Kings County, Lemoore is a small and scenic town in Central California. Although the town is small, there is plenty to see and do for everyone. For the history enthusiast, you can take a trip back the Victorian Era at the Sarah A. Mooney Memorial Museum. If you’d rather explore the outdoors, Tulare Lake and its wetlands and marshes offer plenty of wildlife and activities for the whole family. If you are considering a move to the area, Meathead Movers is here to help. Our moving company specializes in local, long-distance, and commercial moves. We also provide reliable packing, storage, on-site relocations, and our distinctive moving concierge service, which connects you with local service providers in order to make your move as seamless as possible. In fact, you can see what your neighbors in Lemoore have to say about us. With our 100% satisfaction guarantee and A+ rating with the Better Business Bureau, the only thing you have to lose is the stress that comes from moving! So contact us today for a free no-obligation moving quote and to learn how we can help you on your next move! Moving to Lemoore? Here are some helpful resources. “Hi! The one thing would be communication, believe it or not. I don’t mean your scheduling, no problem there. During my initial call, I told the lady over the phone that I had several large oil paintings that needed to go in my storage pod. She said that the packers would have mirror boxes for them. When the packers got here, they didn’t have any mirror boxes and told me that the paintings would not fit and that they would be wrapped with furniture pads. I paid a lot for my paintings and I think they deserve more protection than pads. Hi! The one thing would be communication, believe it or not. I don't mean your scheduling, no problem there. During my initial call, I told the lady over the phone that I had several large oil paintings that needed to go in my storage pod. She said that the packers would have mirror boxes for them. When the packers got here, they didn't have any mirror boxes and told me that the paintings would not fit and that they would be wrapped with furniture pads. I paid a lot for my paintings and I think they deserve more protection than pads. The girls were wonderful, so don't think the above in any way reflects on them. They were fast and effecient and acted in a professional manner at all times. I felt abandoned without the entirety of my household being packed. the team seemed to give up on my move. I had to complete the remainder myself. Too expensive for such little service. Better clarification regarding pricing and estimated hours of service. Also, more competitive pricing would be great. Less time on logistics when packers are in process of working. Better explanation of pricing and estimating time spent packing. We did not have a good idea how long it would take to pack our house and therefore cost much more than we expected. The young men did an excellent job. Didn’t mess around and we’re moving the whole time.